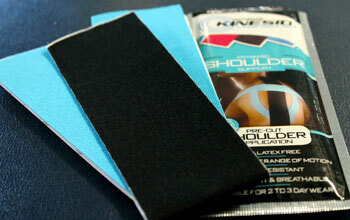 You’ve seen it on Olympic athletes – those patterns of pink, blue and black tape on their joints and muscles. Kinesiotaping is a special taping technique for correcting muscle imbalances, reducing swelling and providing important feedback to muscles and joints. We use kinesiotaping for a variety of our patients – whether athletes, “weekend warriors”, post-surgical or chronic pain patients.